Solar controller is an intelligent control device which controls the battery array to charge the battery and the battery to supply power to the load in the off-grid solar power generation system. 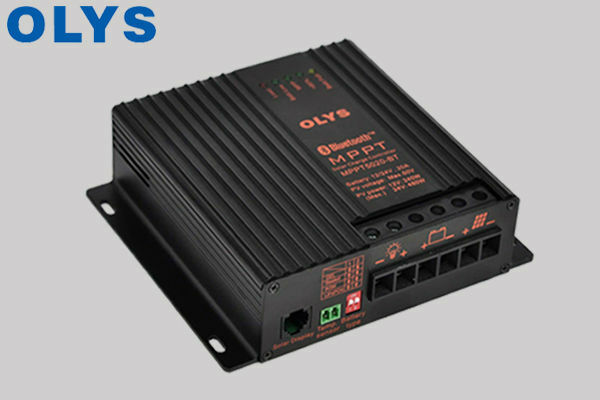 Solar charging controller intelligent data acquisition and system monitoring. The real-time acquisition of various operating parameters is now one of the most central components of off-grid systems. Olympus illustrates the features of the solar charging controller. The intelligent three-stage charging mode can not only prevent the performance deterioration and service life of the battery, but also automatically adjust the charging time of the three stages according to the new and the old of the battery so as to avoid the failure of the battery. To achieve safe and effective full capacity charging. According to the voltage detected by the external sensors and the ambient temperature, the solar charging controller will automatically adjust to control the maximum charging voltage, gradually reduce the charging current to the floating state, and prevent the capacity decay of the battery aging. The above information comes from Shenzhen Olympus Technology Co., Ltd., focusing on solar controller manufacturing and research for 12 years, for more information please visit the Olympus website: http://www.olyssolar.com/.